Rockstar is already prepared for their new game Grand Theft Auto 5 at October 2013. But the game will be only available for Playstation 3 and Xbox 360. Not satisfied with the GTA V launching, a fan of GTA named Mike Julliard made a petition at change.org which requesting to Rockstar to launch GTA V for PC too. More than 100 thousand GTA fans also participated. At the beginning, Mike was only targeting 100 thousand of GTA fans would think and agree the petition, but the prediction was wrong and Mike raised the target to 150 thousand people of fan. Please release GTA V on PC. GTA games have been a large part of so many people's lives and it's a big shame not seeing the newest iteration of the game being released on the most powerful platform. Things like modifications have always been a HUGE part of PC gaming and modded GTA is some of the most insanely fun times you can have. I hope you consider the release of GTA V on PC as it'll make many people very happy! 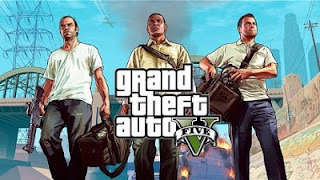 There is no official respond yet from Rockstar Games which began Grand Theft Auto game series since first PlayStation era. There is nothing to wonder why GTA has so many fans since every GTA series had have always on the best game chart in every year. No response yet to "GTA Fans Demand GTA V for PC Version"